Did Lululemon Steal Art Work To Use On Their Cycling Water Bottle ? Artist Jennifer Daniel (Graphics Director at Bloomberg Business Week) created the image on the right two years ago and licenced her image as wallpaper and to bike shops for use. 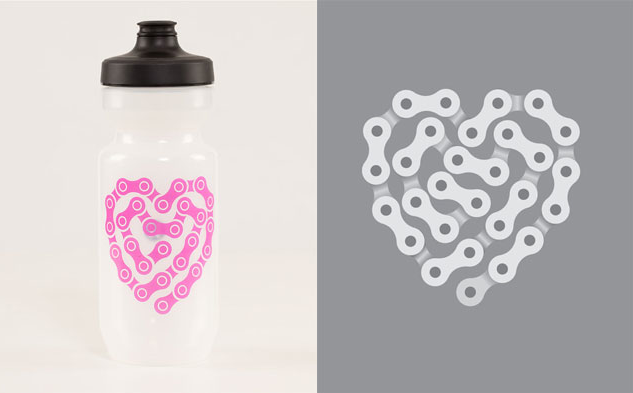 When I first saw this Purist Cycling Water Bottle pop up online I thought the image looked quite familiar but I couldn’t tell you where I’ve seen it before, only that the image was familiar. I came across this blog post ‘Lululemon Stole My Work Claims Artist Jennifer Daniel‘ on Papermag Blog (please read their post for the rundown) and realized that the image had been licensed for use many times before and had been created by somebody other than Lululemon Athletica. I can imagine how frustrating this must be for the artist who probably would like to be paid and acknowledged for her image, particularly when used by a giant athletic apparel corporation like Lululemon. And especially since lululemon waged legal war (and settled) against Calvin Klein for allegedly copying their designs.